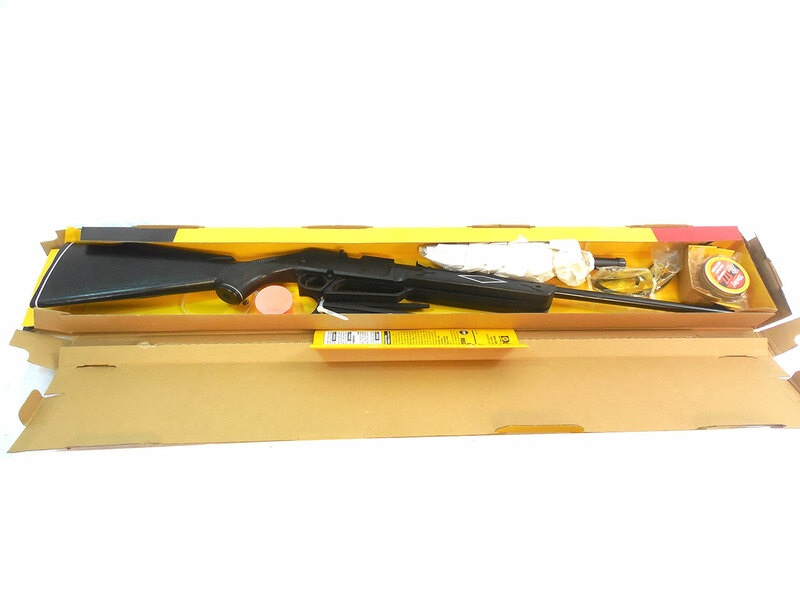 This kit includes a Daisy Powerline 880, a scope, shatterblast targets with stakes, safety glasses, manual, and two partial tins of pellets. 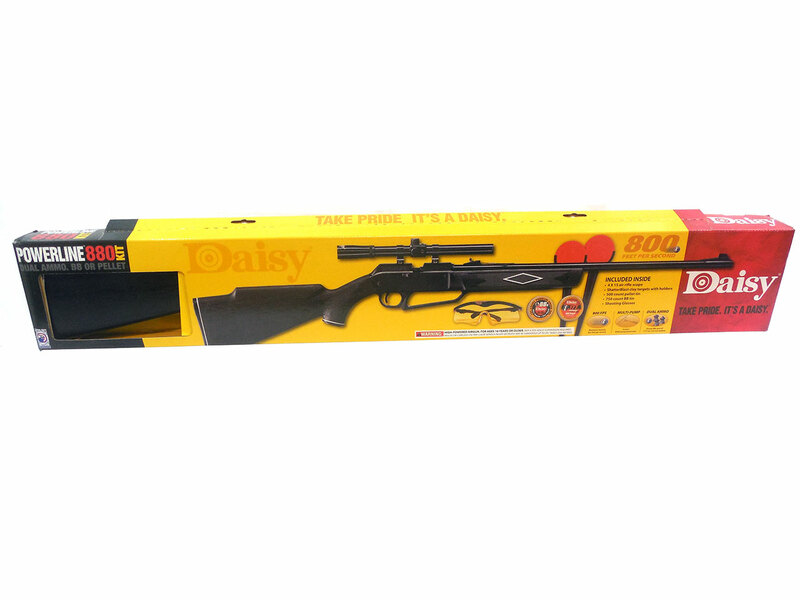 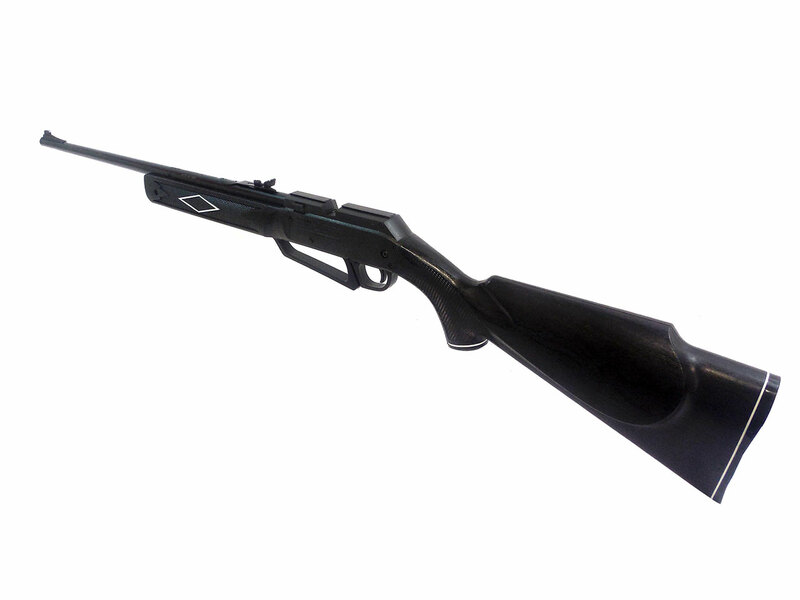 The Daisy 880 is a multi-pump pneumatic air rifle that shoots BBs or .177 caliber pellets. 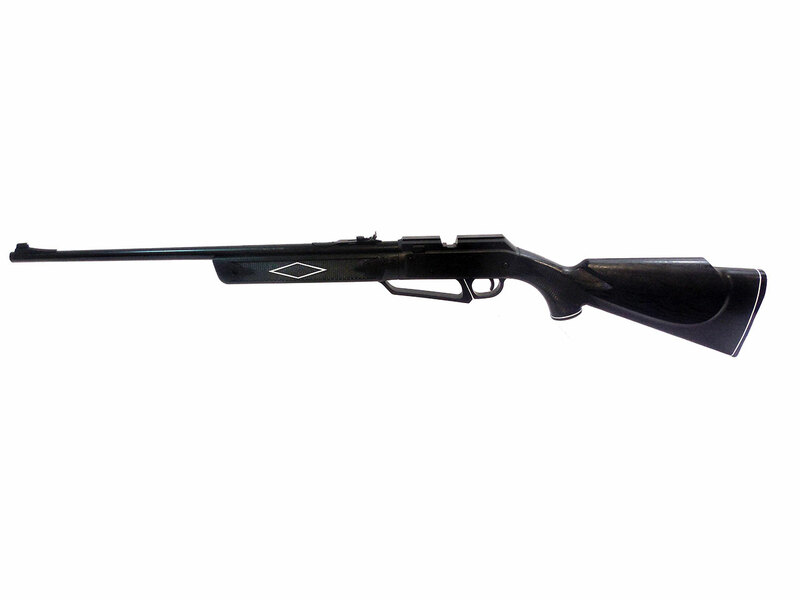 The gun is in excellent condition. 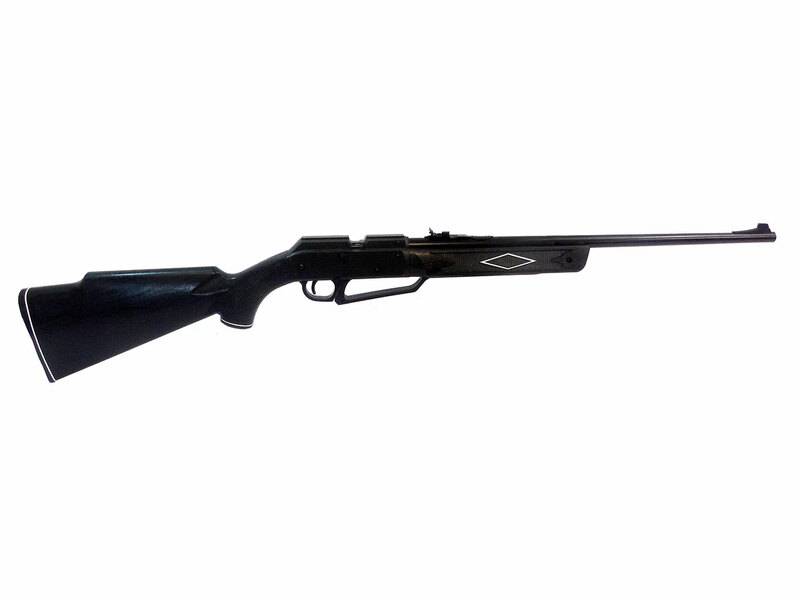 We tested the velocity in our shop at 595 fps using lead pellets. 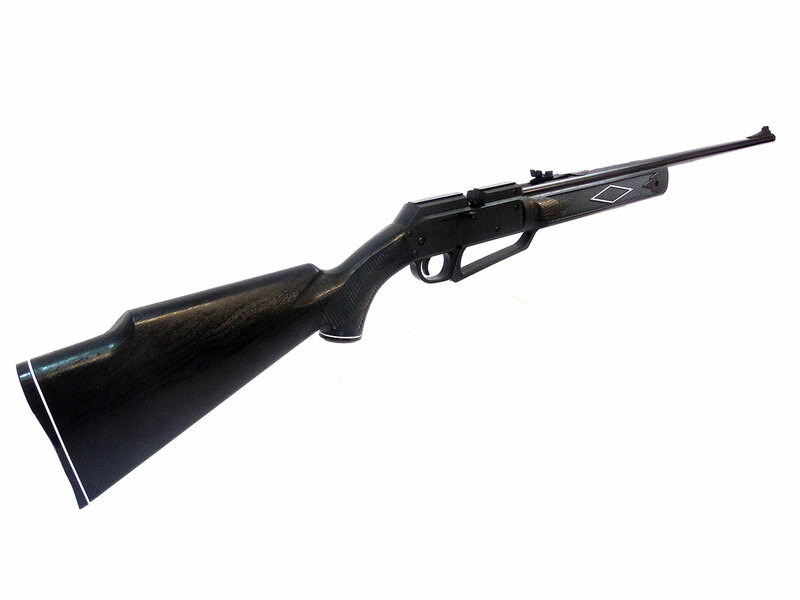 Great gun for some plinking fun.